Hey, this is Spencer with a quick introduction to this guest post. 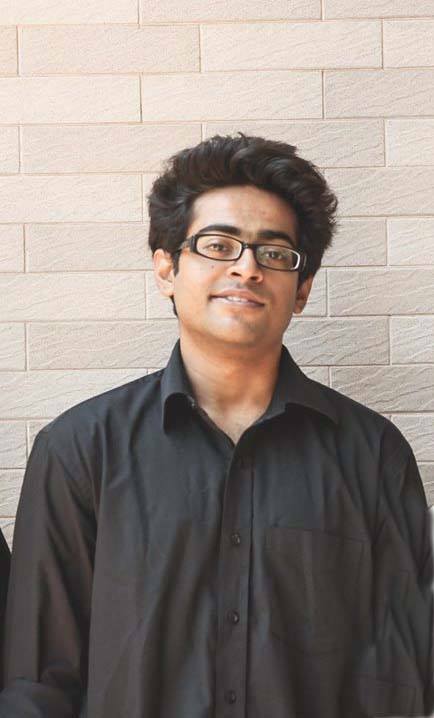 Today you are going to read a fantastic story written by Khalid Farhan, who happens to be from Bangladesh. If you are unaware, Bangladesh is an amazing country with lots of young online entrepreneurs. However, when Khalid says that making $400 a month in Bangladesh “is actually a pretty handsome amount to live a middle class life”, you will realize that selling a website for $26,000 is kinda a big deal for someone from his country! I also want to point out that Khalid's English isn't perfect. I debated posting the article because I usually only publish very polished articles written by myself (a native English speaker). However, I think publishing his story, even if the writing isn't excellent, is inspirational in itself. You don't have to be an excellent writer, or be from the United States, in order to do well building and selling niche websites. Khalid has proven that very fact. So, if you are from Bangladesh, or any other country, Khalid's story shows that as long as you have an internet connection and a drive to succeed, nothing else really matters. With that quick introduction, here's Khalid! Hello everyone, it feels awesome to be able to write a post on Nichepursuits.com about my journey. It is a small journey and I haven’t traveled that far yet. But I still think I have a lot to share with you guys. I am not here to brag; I will be trying to inspire each one of you out there. If someone from a third world country where even PayPal or Amazon itself is not available yet can do it, so can you. Let’s start. I think many of you will be able to relate with me. I was always a freelancer. I started my freelancing career with Freelancer.com back in 2011 may be and then quickly moved to Upwork (when I started, it was known as Odesk). I was doing well at the time. It is not like I used to earn a lot, initially it was $400 average per month but that was enough for me as a 16-17 year old kid. If you know about Bangladesh, my beloved country, you will know that it is actually a pretty handsome amount to live a middle class life. Also, it was actually an extra income as I was still in school and I live with my mom. Then the year 2015 came which actually turned my life. I was earning really well as a freelancer by the way at this point. My income grew a lot but I was looking for something better. So I started my research about passive income. It was an intense life. I was studying, playing cricket (a very popular sport in Asian sub-continent) and I was doing my research. At first I found SPI blog of Pat Flynn and then I found NichePursuits and Spencer. It was around October, November, 2015 I guess. I forgot the exact time. 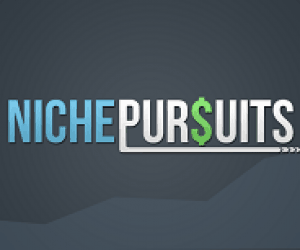 Back then, Pat Flynn used to talk about general affiliate marketing but NichePursuits was all about Amazon Affiliate Marketing. So I kept my focus here and concentrated on Project 1 and Project 2. I read everything, literally everything. I listened to all the podcasts. I even listened to the old podcasts which might not be effective anymore. I was never into music and therefore, I didn’t have good headphones. But as I got into podcasts, I had to buy headphones (lol) and I was always either listening to podcasts or reading articles about Amazon affiliate marketing. I am not someone who only plans or reads and does nothing else. I actually decided that I wanted to swim and learn swimming at the same time. So I started creating my niche sites. So I launched my first niche site back in October/November, 2015 and it was a big failure. The site is not active anymore, it was in the horse niche. I had high hopes, but obviously, things didn’t work out. I understood that I wasn’t actually active enough in managing the site. I learned one thing at that time: It is very important to fail. If you are not failing, you are not learning. The main reason behind the failure of that website was obvious: poor keyword selection and poor SEO. Actually, I didn’t do SEO that seriously as I was never into SEO before. I used grey hat and weird techniques such as bulk buying links for that site. All in all, it was a big failure. The good news is; I didn’t lose hope. I knew I can do it. I know many marketers who spend ages to create and launch their website. My process is very different than them and I would love to share my methods with all of you. You can obviously stick to your own plans if you feel like but I still would love to share. I have a guide for newbies about Amazon Affiliate Marketing here if you would like to learn more about this process. I am a lazy person and that reflects in how I work. So, obviously, you know that the first step is keyword research. What I do is, after finding the main keyword, I quickly research and find more keywords to have around 10-15,000 words worth of content plan. Then I go for the content immediately. I now have my brilliant team of writers who do the content for me. After I receive the content, I create the site. I am not a great designer when it comes to creating sites. I at times insist my girlfriend to design sites for me (she is not that interested though) as even she is a better designer than me when it comes to the look of the site. I believe in one simple idea. If you have your site on the first page of Google, people will visit your site no matter whether the widget bars are at the right site or at the left side. Anyway, so I create and publish the site with those 10,000-15,000 words as soon as I receive them and I also set up the basic plugins. Recently what I have started to do is that I also setup a FB ad campaign (of around $5) just to give the site an initial boost. I am still experimenting on that so possibly will update you guys later. A lot of people worry about submitting xml maps, sitemaps, and those other things on your webmaster tools. I have never done that and all my sites are ranked well without any problems. If you are using WordPress, I don’t think you need to submit sitemaps manually anymore. It is taken care of automatically. After the site is live, I do another research session to collect another 40-50 thousand words worth of keywords. I am sure you guys read in Project 3 that you now need a lot of content to build sites and basically, the ratio of information and affiliate content should be 70-30. That’s it. The site goes live. It is actually a huge topic to talk about. I do all the methods that you already read in the Projects so I won’t be repeating those. What I will talk about is one of my most important methods which is scholarship SEO. So, basically, after my site is live with enough content to build trust, I offer scholarships on my site. For example, if my site is about televisions, I offer a scholarship that I will be giving away 1 television each year to the people who follow the required steps. Now what are the steps? You can design it on your own. My strategy has always been requiring big articles from the applicants about my niche. There are two benefits of that. One, you get a lot of applicants and secondly, you now have all the content that you need for your tier links such as web 2. I spend almost 10-15% of my monthly earning on scholarships and give aways. So, after I design the scholarship, I mail around 100 universities and scholarship sites and ask them to publish my scholarship to their portals. Most of them do if it is good enough. That’s very strong edu backlinks for you. It has been my top SEO strategy for the last 10 months and it worked every time. You can do the same but make sure that your offer is good and you are actually not investing a lot of money for the give away. If you want, you can offer direct cash or gift card too to the applicants. So, my first big site was started in November, 2015 and I sold that site on February, 2016. It was one of the biggest deals of my life as the site was sold for $26k. We know that the rule of thumb is that you get around 20-25x of your monthly sale, right? My site was generating around $700 per month and I got around 37x on my first sale. The reason is simply the backlink profile. After a few days when the deal was completed, I asked the new owner why he paid me more than the industry average and his only reason was that my backlink profile was strong and clean. So, this is a suggestion to all of you from me. Try to keep your backlink profile super clean if you want to get good multiplications when selling sites. I've sold 3 sites so far. The latest one was sold for only $6,000 and if you are an active member of Niche Site Project 3.0 Facebook Group then I am sure, you saw my post there. It was sold via Flippa and the site was making around $150 on average. It was a tech niche. Do you guys watch the show Shark Tank? It is a popular reality show where entrepreneurs come and pitch their ideas to investors. I actually love one of the investors whose name is Kevin. He says that you should always keep your money liquid. I believe in that too and therefore; I always am trying to sell my sites whenever I get up to a decent earning point. Yes, I have two sites that are fixed and give me monthly earnings but apart from those two, I keep on selling sites. I even sold sites for less than $1000 this month. I love creating new ones and I love the process of selling too. Maybe I am a business grad, that’s why (no I said that for no reason, that can’t be the reason for sure). Finally, I really thank Niche Pursuits from the bottom of my heart for everything that I got. I am so involved with this site that I listen to every FBA podcasts too though I will never be doing FBA (hardly possible from where I live). I know most commenters too, lol. I will finish my under graduation this year ( I am majoring in Human Resources and Marketing) and I don’t even have to look for a job. That is a benefit that you rarely get in our country. I am planning my masters now in probably somewhere in Europe. I have to get a good score in GMAT though. I now have a small community who read my blog posts, take my services and coaching, we have discussions and I love every bit of it. If I give one advice to you guys who wants to become successful, it would be that you should always be ready to take risks and you should keep on hustling. Nobody will ever give you everything on a plate with two spoons when it is marketing. Spend all of your time and effort in this and there is no reason that why you can’t do what I did. Awesome post. Thank you so much for sharing. Hi you can say… Bangladesh is a Developed County. And about the niche site or native english speaking, you might better performance in English Because it’s your first language. And about the Niche site… Lots of people working in this platform since long years ago still yet. So Nichenpursuits not only the site where only successful people get listed. There are many people succeed in Niche project from Bangladesh, Not only in Niche site, there are soo many developers, designer also top class freelancer working from Bangladesh. Anyway wish you All the best and thank x for share this story about Farhan. Wish you All the Best Farhan. This Post Realy Awesome! I know personally about Khalid bro. He actually hard working & also helpful person. Best Of Luck. And Thanks Nichepursuits For Published This post. One fast question, on your blog, you said “If you see a lot of affiliate sites already in the first page, avoid that keyword”. But Spencer said that if you see an affiliate site in page 1 then you have to go for that keyword since affiliates can rank for that keyword ! Everyone has different strategies. 🙂 Actually, you can see it from both angles. If there is an affiliate site, that means affiliates can rank well for that keyword but it also means that you have competition. Congrates Khalid Bhai (brother) . As a Bangladeshi I feel really proud to see you here in Nichepursuits. A warm Congratulations to Khalid Farhan. Good work Khalid, sounds like consistent action along with actually enjoying the process are a couple of key takeaways. I am also from Bangladesh. I’ve been doing blogging for last four years. Though I’ve never tried Amazon Affiliate Marketing, but I am doing good in general affiliate marketing. Khalid has an amazing story. It inspires me to start Amazon affiliate marketing. However, thanks to Spencer Haws and Khalid Farhan for sharing the story. Congrats brother! Feeling proud of you brother Mr. Khalid. Congratulation Khalid Farhan & Thanks to Mr. Spencer for put forward my country (Bangladesh) on nichepursuits. Can we get some more explanation on the “scholarship” thing? Are you offering a “tv” for all writing projects that are published? Are the backlinks permanent or do they only last as long as the scholarship? I wrote a detailed guide about this on my blog Passive Journal. If you are interested, you can read it there. The backlinks are permanent. The sites do not delete your scholarship if its over. They put it in the history or time over/finished section. Don’t show your affiliate site to everyone smartass. Hey Khalid… wow, what a fantastic real life story of someone who worked and made their own way! Not only did you get knocked down on the way, you got back up and continued down the road to success! Fabulous! You should be very proud of yourself, you’ve inspired me to grind even harder and to raise my goals. I also love the tips on the scholarship backlinks and how your site sold for a larger ratio due to that. Will have to take a hard look at this strategy. Thanks for sharing! Spencer…. glad you posted it, it’s AWESOME! Can you share post of site which you sold for 6000$ on flippa? Congratulation Khalid Farhan Bro. You are my legend. I have noted every point of passive journal to create my strategy for being successful marketer like you.. I am very glad to read here your success story. Thanks Spencer for your awesome post. I really appreciate your advice and will keep in mine all the steps you took to succeed.I also live in a third country Ghana and you are a big inspiration to me. Getting access to LTP is the only challenge since all our online purchasing card are prepaid (no paypal or amazon) and Spencer don’t accept them anymore. I have two month old site with $4 affiliate commission which am proud to say. l need to constantly maintain my site as you advice and l strongly believe to share my success story one day. Thanks bro. Love to see the name “Khalid Farhan” on this website. He is one of the brilliant online entrepreneur of Bangladesh and also an inspiring figure to the youth. We are also working on a Niche Site Project. I wish for his success. Congratulation for your success. Can you told me more details about your scholarships process? Anyway, Thanks again for sharing this story. Got inspired once again. And to all who are commenting here or mailing me, i will definitely reply to all of your queries. Congratulations bro! You made us proud. Brother @Khalid Farhan, We are proud of you.Your Line “within next 15 years, we will be a very powerful country in terms of economy. ” is our biggest goal and i also hope that and believe it. We are not poor, we have hands to work. We have courage to lead!! Thanks for your strong statement. Congratulations Farhan! Glad to see you here. You was my first encouragement to get in to this amazing world of affiliation marketing. Thanks bro! Congratulation to Khalid Farhan ! Thanks to Spencer for share awesome post! Congratulation to Khalid Farhan! Go ahead brother. Best of luck. Thanks Spencer for your great post. Congrats Khalid Farhan ! It’s great news. Wow! What a great post! Thank you for taking the time to write and share your story, Khalid! My elder brother name is also Khalid Farhan 😀 . So it was much surprising for me. He is also an affiliate marketer. I felt very bad when I read your failure site part and get much inspiration when read out least of the part. That’s awesome. I never would have dreamed you could sell a site making 150 for 6k. That’s a crazy multiple! Congratulation Brother. We are really proud of you. Hi Khalid, well done! Congratulations to your continuing success and many thanks for sharing. May I ask a couple of questions please? 1. Just like some commenters before me, I’d love to know a little more about your “scholarship” process. 2. And could you also confirm whether you are already monetizing your website when you get your scholarship offer published on an edu website? I am wondering whether they are ok to link to a commercial website. 3. Do you monetize via Amazon only? Looking forward to more info and keep up the great work you are doing. 1. I already posted about the scholarship technique in detail in my blog. You can read it there. 2. I don’t wait. I immediately monetize the articles whenever i publish them. Hey, Khalid… stunning, what a phenomenal genuine story of somebody who worked and made their own particular manner! Not just did you get thumped down in transit, you got move down and proceeded not far off to achievement! Awesome! You ought to be exceptionally glad for yourself, you’ve enlivened me to crash much harder and to raise my objectives. I additionally adore the tips on the grant backlinks and how your site sold for a bigger proportion because of that. Will need to investigate this system. Much obliged for sharing! Spencer… . happy you posted it, it’s AWESOME! Khalid Farhan is really great boy. He had started his earning in age of 17. But I started my earning in the age of 22 year. I read two time his story. I request Khalid Farhan to write a book of case study . How He had sold niche website for $26,000. Loved the article, very inspiring! Do you have a blog post about your scholarship tactic? Would love to read more about that tactic. When you say “I quickly research and find more keywords to have around 10-15,000 words worth of content plan”, do you mean that you have articles written with a total of 15,000 words to launch the website? For example if you had articles that were 1000 words long, you would have 15 articles to launch the site with? well said, inspiring topic..thumbs up. Would love to know the answer to that, too. Long articles of 10 to 15 thousand or splitting it up into 10×1500? come to think of it – who reads a 15000 word article? Having looked through his portfolio of sites I’d say it’s 10-15,000 words of total content. Perhaps the ones that were sold were more developed than the “bestnicheproductreviews.com” style sites I’ve looked at. Yes Kaila, i don’t publish sites unless there’s 10,000-15,000 words are ready. Also, i never write an article shorter than 1000 words. Long articles always rank better in SERP. And Gary haha! I have Whois on for my main sites 😉 Don’t worry about it. What a great read and opportunity to learn. I’ve already struggled with multiple failed websites and have committed myself to reeducation so that I can begin to get some traction as well. I love Khalid’s creativity and it really inspires me to do similar things. I always think of myself as an out of the box thinker but sometimes I’m reminded of just how much wider my horizons can become by simply reading the journeys of others, regardless of age. I’m 41 and I’ve been working on the internet based business model for a long time. Thank you so much for sharing this, Spencer and Khalid. Well said. This post helps people like me. Great Job Khalid! Love the scholarship idea. Big congrats to Khalid and sharing the scholarship edu link tip!… super smart! All the best in your next projects! Great, Khalid you inspired by sharing your story to new marketer. Awesome work Khalid! I too have been following NichePursuits 3.0 and have read all of project 1.0 and 2.0. Spencer has provided some great content here, and with that comes insights i can connect to my own work. I think your scholarship backlink system is brilliant. I had a similar idea, but totally missed the value of outreach to educational institutions….maybe because its been a long long time since I been to one ;). I wish you well in your future projects. I am curious how much you spend on scholarships? $50, $100, $200?? A great motivational post , this post will surely boost the motivation level of all those who think they don’t have the courage to conquer the online world as experts are setting in the market. Can you send me your Skype address by email. I need a website. Sometimes it can be a great inspiration for someone starting as a newbee. Thanks for sharing. Do you target universities from only Bangladesh or universities from a specific country. Thanks for sharing your SEO strategy. Truly inspirational. It is really such an inspiring story, especially for me, who is just starting out, and looking forward of making a full time income from my online business. Thank you to let us khalid’s sory. Inspired reading this post. Home run here, Spencer, on your decision to reference Khalid from Bangladesh. I read his website blog through the link here and was amazingly surprised at his admirable advice and relevant content for aspiring affiliate marketeers like myself. I have his website material saved in my resource library on my hard drive , for sure. This guy ranks , in my opinion, with the elite like Brian Dean, Jon Cooper, Neil Patel and Spencer Haws. With all you guys I’m ready to rock; well kinda, just all this research stuff takes some time too. I thought his comment on his website about not going live with a website until he has 10,000 words ready to roll, was interesting and his policy of joining Amazon Associates also a strategic, timed event. I was not aware Amazon Associates will ban you if you don’t produce a sale within 3 months? Another great success story here. Thank you Khalil and Spencer! Great post…………and as a native English speaker I think that his English rocks! It’s always interesting to see that some people prefer to build and sell and others buy and earn. It reminds me of the various articles I’ve read on capita gains versus revenue type income. If you imagine property entrepreneurs, they are a mixture of developers (buy, add value, sell) and landlords (buy and take an income stream)……………………exactly the same as websites. Great post for inspirational & learning about -“how to be success”. Best one.Thank you so much for your helpful article. A very interesting read. I think it misses out some relevant information though. It makes it sound like Khalid is on something of a winning streak with hit after hit. His portfolio is very large, insanely so for someone who only started this at the end of 2015. 3 out of 40+ sites is a decent average though. This isn’t meant as a criticism at all, just a warning that there’s a lot of hard work going on to achieve the successes. Congratulations Khalid Farhan on your success. You must have worked very hard to achieve your success. You deserve it. A question! can you give us an insight how you go about your link building to ensure it’s clean? I’m really interested. Congrats Farhan. I am curious to know about your failed startup. You said it was a “Horse” niche! What an idea!! We are proud of KHalid Farhan. Thanks to Spencer for this awesome post. Khalid Farhan is a genius. I’m living in Iran (a developing country ) and the story here is quite different ! I guess situation of e-commerce on Bangladesh is way better than Iran. In Iran when you searching and thinking about every aspect of online marketing and etc. you see that there are too much monopoly around it! we don’t have a strong copy right policy and every one just copy from others and steals their content and idea right away ! our government control internet too much and there is massive filtering here, for ex. Facebook, Pinterest, Twitter, Youtube and many other online services are filter here and we don’t access to them easily and without proxy. add international sanctions toward Iran (like google special services and etc.). it just leaves us so helpless to begin a online business ! Awesome inspirational post! I have been following your posts and your blog and they are highly resourceful, hope to contact you soon..keep rocking! Awesome post!!! no risk no gain! it’s help every body who online marketer and newbie entrepreneur . Thank you so much Spencer!